My latest book answers more than 200 of the most difficult questions people have about raw milk. It’s been praised by farmers, academics, and food safety experts as fair and objective. Finally, a serious and candid conversation about raw milk, unlike any that has ever occurred in the many years since raw milk became a subject of contentious debate. Do Americans have the right to privately obtain the foods of our choice from farmers, neighbors, and local producers, in the same way our grandparents and great grandparents used to do? Yes, say a growing number of people increasingly afraid that the mass-produced food sold at supermarkets is excessively processed, tainted with antibiotic residues and hormones, and lacking in important nutrients. These people, a million or more, are seeking foods outside the regulatory system, like raw milk, custom-slaughtered beef, and pastured eggs from chickens raised without soy, purchased directly from private membership-only food clubs that contract with Amish and other farmers. Beginning in 2006, the agriculture departments of several large states-with backing from the U.S. Food and Drug Administration-launched a major crackdown on small dairies producing raw milk. Replete with undercover agents, sting operations, surprise raids, questionable test-lab results, mysterious illnesses, propaganda blitzes, and grand jury investigations, the crackdown was designed to disrupt the supply of unpasteurized milk to growing legions of consumers demanding healthier and more flavorful food. The Raw Milk Revolution takes readers behind the scenes of the government’s tough and occasionally brutal intimidation tactics, as seen through the eyes of milk producers, government regulators, scientists, prosecutors, and consumers. 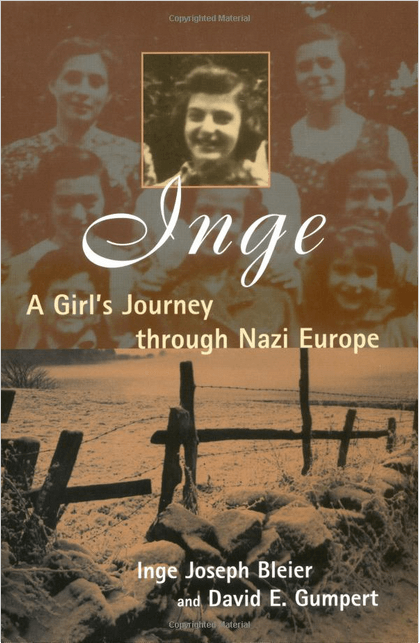 Inge is really two stories in one. First, it is the story of a teenage Jewish girl and her struggle–external and internal–to survive the Holocaust. Second, it is the story of “the other Kindertransport” and the unusual community of children and adults it spawned. The Kindertransport of 10,000 Jewish children from Germany and Austria to England is now well known, but the smaller one of a few hundred to Belgium has never before been described…until now. The children who were sent to Belgium had an entirely different experience because their sanctuary was invaded by the Nazis, forcing the children into a chaotic journey to France to attempt escape.